Rooftop bars boasting stunning urban panoramas undoubtedly have their appeal, but sometimes you just want to catch a break at your favourite watering hole sans the city-dwelling crowd. 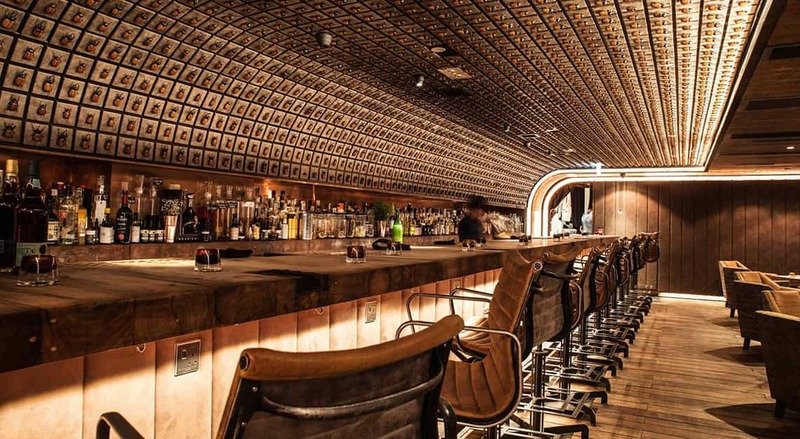 This is where underground, speakeasy-themed bars come to the surface (pun intended). 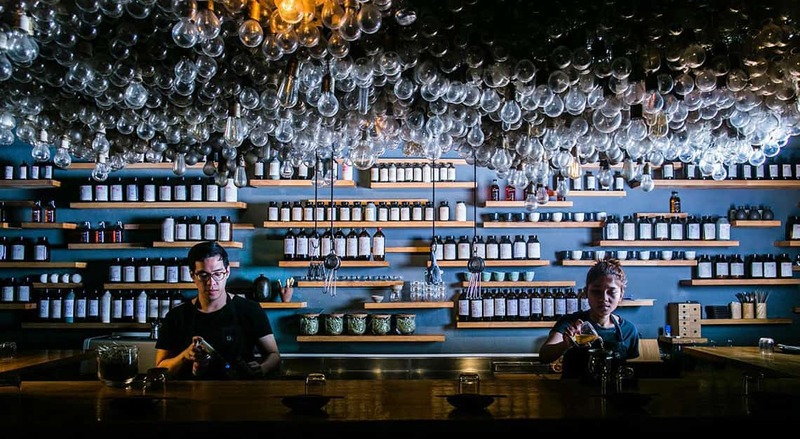 Asia’s bustling cities are home to a slew of hidden parlours that are designed to emulate the illegal drinking dens of 1920s America. 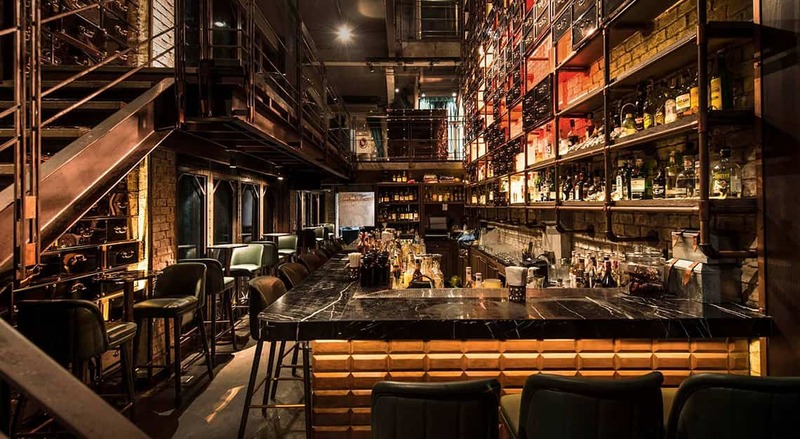 And while illicit drinking might be long gone, the speakeasy vibe is alive and well in these under-the-radar bars and lounges. Care to take a step into these secret boltholes? You just need to the beat the dodgy back alley entrances, camouflaged sliding doors and nondescript, or often non-existent signage. Csaba is an underground lounge that’s part of The Gunawarman, a 35-key boutique hotel in the heart of Jakarta’s business district. Sporting a timeless European facade with interior furnishings that exude an elegant old-world charm, The Gunawarman offers a tranquil respite away from the clamorous, gridlocked streets of Jakarta. The same design cues are adapted to Csaba, which can be accessed via a flight of stairs from the hotel’s main restaurant, Sofia. The stairs are roped off, as Csaba is an exclusive, hotel guests- and members-only underground lounge, which means that rowdy crowds won’t be a sight here. 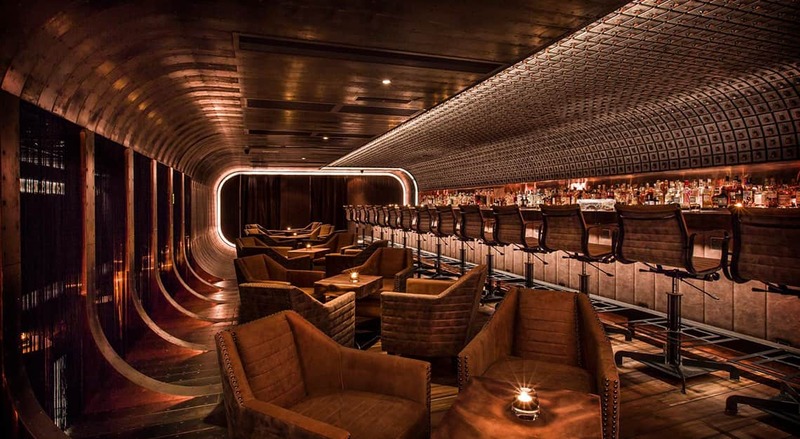 The bar is kitted out with luxe carpeted floorings, dark, wooden trimmed walls, snazzy leather couches, private suites and even a secret karaoke room. A stash of premium spirits, wines and cigars awaits those who arrive with the sole intention to splurge. 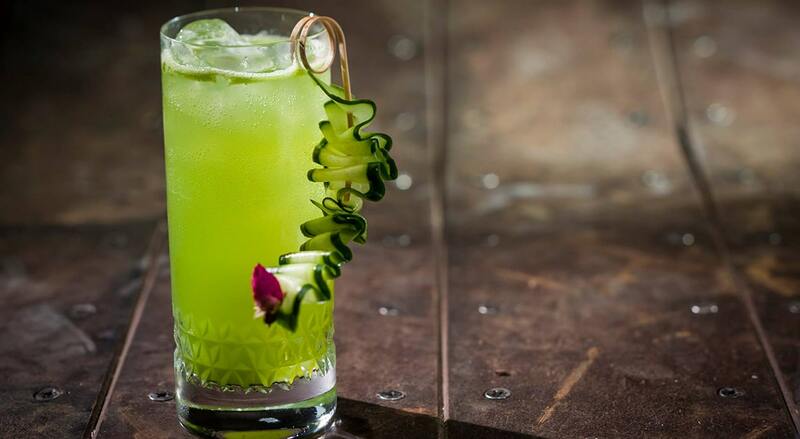 Another brainchild of cocktail lounge designer Ashley Sutton, Dragonfly is hidden within the old Superintendent’s House of Tai Kwun, a former police station. 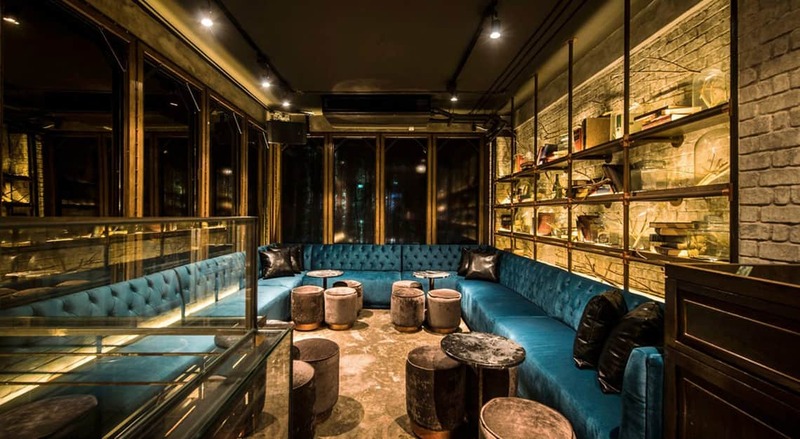 The Bohemian-styled hideaway can only be accessed via a cobbled stairway on the western fringe of the Tai Kwun courtyard. Opulent glass murals, an art deco-style bar counter and mosaic lamps with eccentric motifs of dragonflies – these are the key design elements in the bar that pay homage to art mogul Louis Comfort Tiffany (son of Charles Tiffany, Tiffany & Co.’s founder ), who is best known for his signature stained glass work and iconic mosaic lamps. 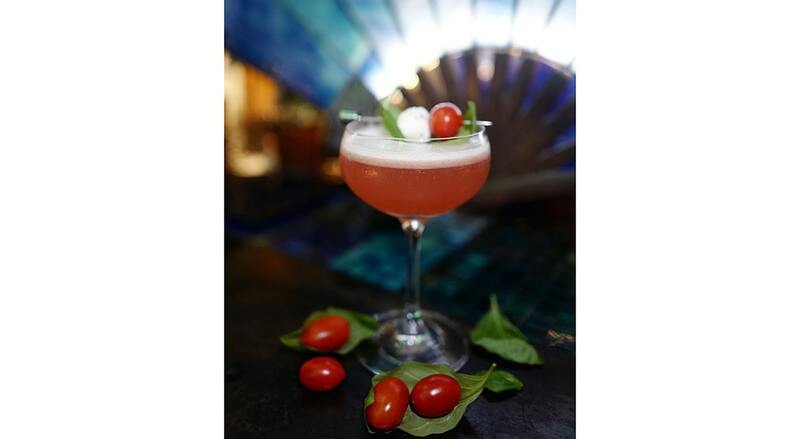 One of the signature cocktails to try here is Mucha’s Muse, a lip-smacking concoction of gin, strawberry and lavender shrub, raspberry honey, melon juice and citrus. Those looking for something lighter should opt for The Responsible Choice, where aged white port wine is infused with red fruit, citrus, wild berry tea, elderflower tonic and Prosecco. Here’s the catch: you won’t be able to find the bar beforehand, as its location information won’t be shared until you’ve made a reservation. Established by New York mixologist Joseph Boroski, J. Boroski is a sophisticated drinking hole stylishly bathed in soft brown and copper shades, with sleek private rooms and a cellar-like arched ceiling to boot. 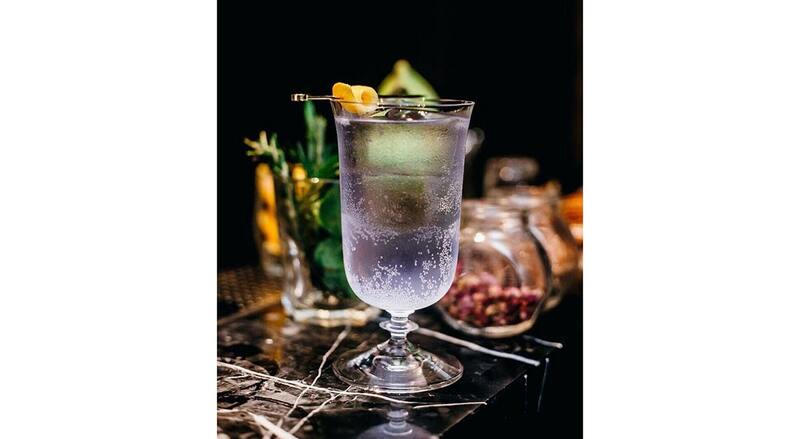 There’s no menu here; instead, the amicable bartenders will dish up bespoke cocktails – a unique ‘Cocktail Concierge Service’ approach that was introduced by Boroski. 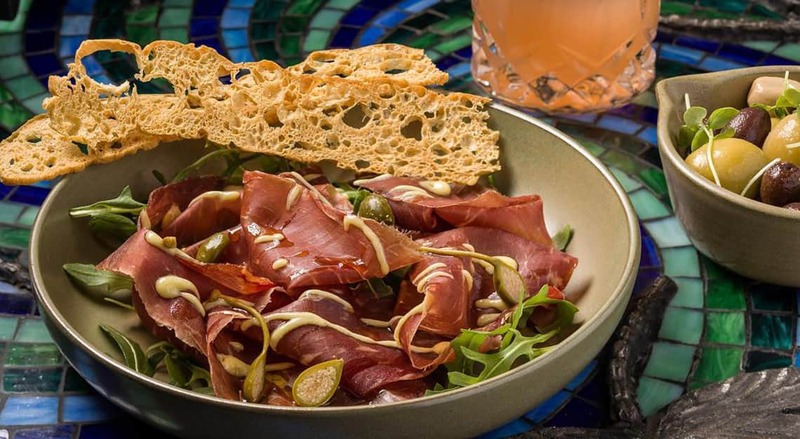 This is the go-to spot for those who appreciate top-notch mixology and premium spirits, and who certainly don’t mind letting their taste buds go wild for the evening. 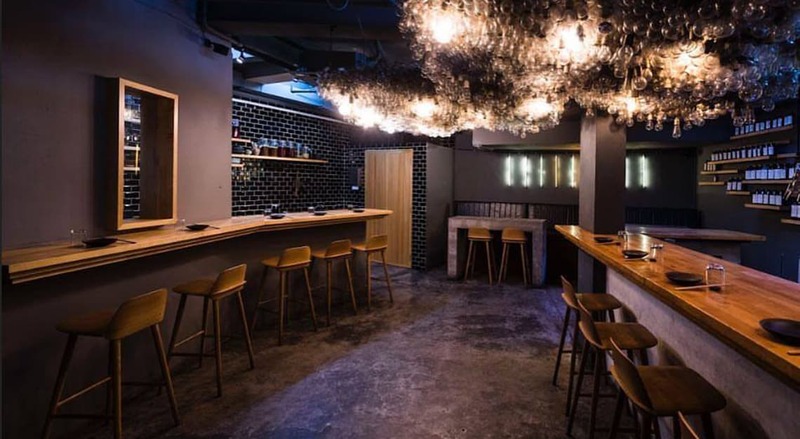 There’s a minimum spend of HK$1,200 (S$208) if you wish to book a table here. 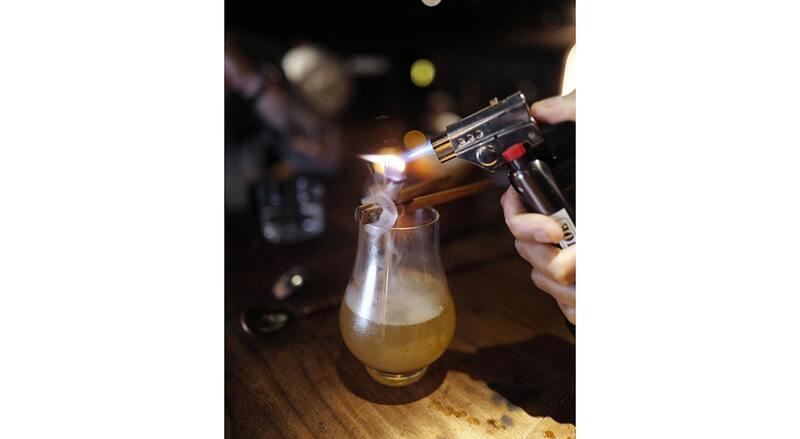 Not only is this a favourite with cocktail lovers in Singapore, the bar has also maintained a steady presence on The World’s 50 Best Bars list over the last couple of years. It’s hidden along a back alley on Ann Siang Hill, tucked quietly in a building that doesn’t even have a name. A grimy staircase leads you to the bar, where you’ll be greeted by the smell of burnt herbs wafting through the air. Decked in dark concrete and wooden furnishings, the intimate space has an industrial-style installation of exposed light bulbs in the centre. 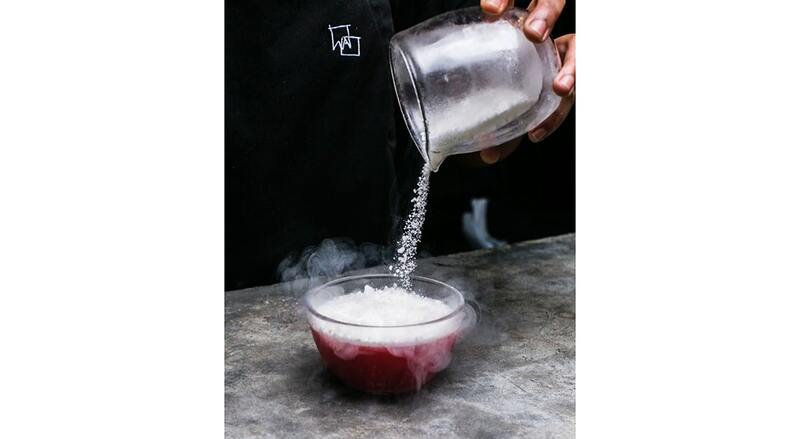 Its cocktail menu skews towards the experimental side: the Moscow Mule, for example, is an unconventional mix of fermented rye, blackberries, honey, and topped with coriander snow. 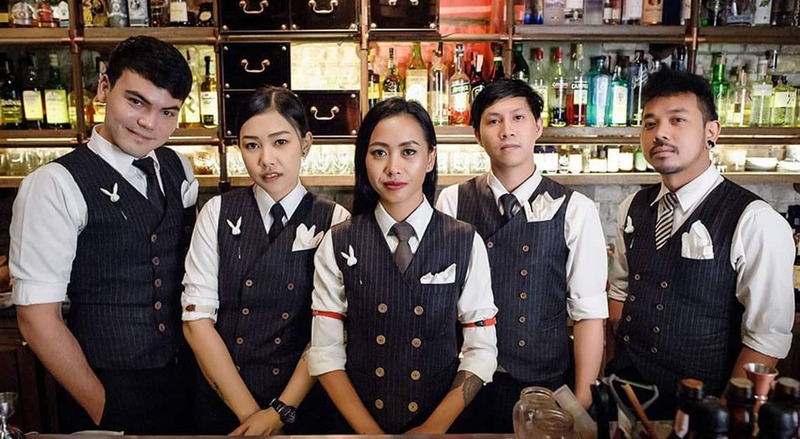 Specialising in craft cocktails, Rabbit Hole is a hidden saloon that occupies a three-storey shophouse in the Thonglor commercial area. The trick is to look for a huge wooden sliding door, which is how you’ll gain access to this underground gem. The vast space has been given a touch of chic with ritzy leather seats, upholstered sofas and marbled bar counters. It’s spearheaded by two bartenders who competed in the Diageo World Class competition, so one can expect nothing but quality concoctions here. 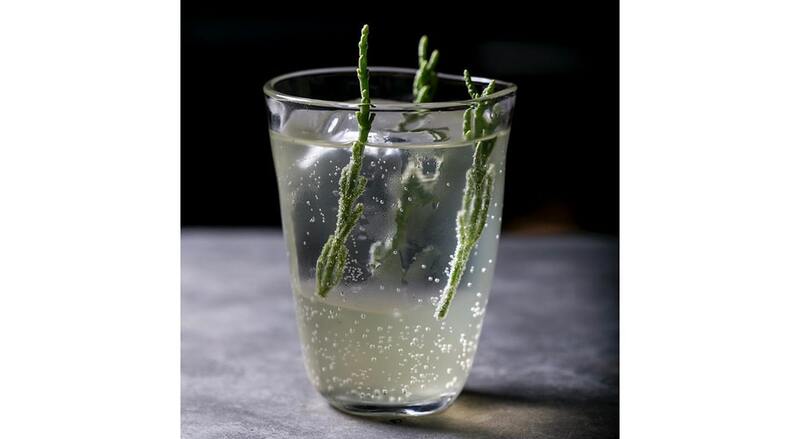 The White Truffle Martini, concocted from white truffle oil-infused Tanqueray Gin and chilled to -18 degrees Celsius, is a must-try. For a rejuvenating fix, opt for the Amore Mure, which is made from vodka, Heering, Sweet Vermouth, blackberry liqueur and citrus.